No less than four CAT.7 lines are combined here in a highly flexible and robust Strong-PVC jacket. Up to 4 high-speed ethernet or compatible signals can be transmitted simultaneously with it. 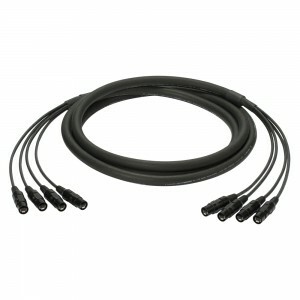 We offer the cable premade and finished with HIROSE RJ45 connectors and as an extra with a protective housing made by HICON. Optionally the cables are also available on a reel.